There are plenty of cheap holiday deals online, so why is it so hard to find them? With hundreds or websites promising low cost breaks, flights and hotels, how do you know where to start? We’ve compiled a rundown of the best websites that you can use to budget for your dream holiday. There are great tools available to those in the know, from finding mistake flight prices, to apps that help you budget your spending abroad. Skyscanner is a popular tool that compares flight prices across a huge number of airlines. It’s really useful if you know exactly where you’re going, and when you are going, but also if you have no idea! It has the option to view “cheapest month” for a destination, or “everywhere” if you are open to destination inspiration! It not only looks at direct flights, but also those with a stopover, which can often work out cheaper if you don’t mind a few hours in another airport. Jack’s Flight Club is an email subscription service that alerts you of sudden price drops and mistake flight prices, but you need to be quick! Most of the deals disappear within a couple of days, so to take advantage of these you’d need to be prepared to book on impulse if your dream destination pops up. For a small subscription fee you can choose specific departure airports and destinations, and get more emails each month. A similar website is Scott's Cheap Flights, it's worth signing up to both so you don't miss any deals. Liligo is a website and mobile app that compares flights for the budget traveller. Liligo looks at flexible dates to find the best price, as well as looking at traveling out and back with different airlines (often this works out cheaper!). You can also set up alerts when a certain route is going cheap, and play around with their deal map to see deals based on budget. Use one computer to research flights and a different one to book, websites will raise their prices if they see that you’ve been looking at a specific route. Alternately clear your cookies before you go to book. Airbnb’s price range is hugely broad, but it’s possible to find some really great deals on there. 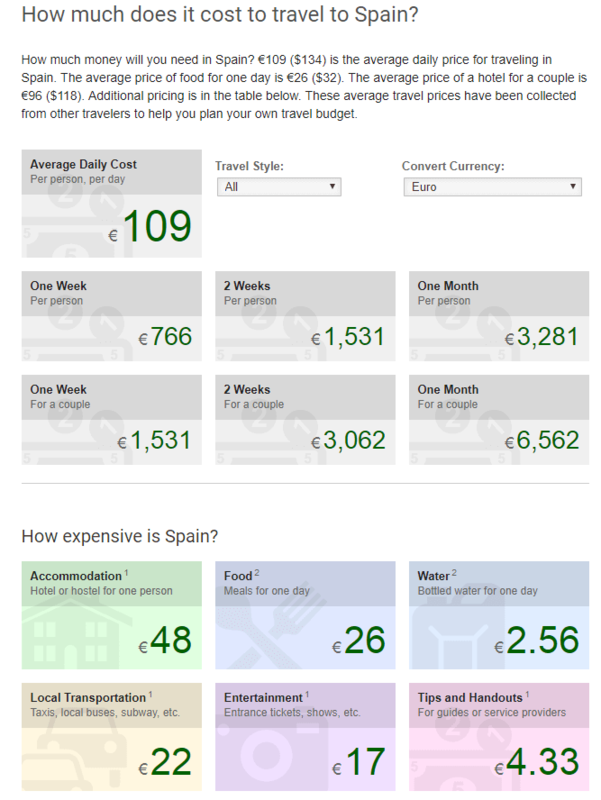 You can easily set your budget per night and view the prices on a map to easily see where each place is. Most of the accommodation providers are independent rather than a big hotel chain, so you could be staying in someone’s own home while they are away, or for an even more affordable option, a private room in someone’s home. Trivago compares hotels from hundreds of websites including major sites like hotels.com and Expedia. It shows you the best deal available on each site, which is especially good if you’ve got your eye on a particular hotel or specific area. Couchsurfing is just what it sounds like – staying on people’s couches! But it’s better than you might expect, staying with locals (usually for free!) means inside knowledge of the local area, and people to show you around. You can read reviews for each host to make sure they’re safe and nice people, making it a great option for people wanting to travel the world. However, lots of hosts will be happy to host a whole family, so it could be a great option to give everyone that much needed break on a shoestring. Workaway is a less family friendly option, but a great option for young people looking for a unique experience that doesn’t break the bank. Hosts register to the website advertising for a few hours of help in exchange for free accommodation and food. The site covers the whole world and you could be doing anything from fruit picking in France to husky wrangling in Finland, and everything in between! If you live in a reasonably desirable area, and are prepared to let others borrow your house, a home swap - and perhaps a car swap - with like-minded holidaymakers abroad will guarantee huge savings. Make sure to use a reputable agency to ensure proper introductions and insurance arrangements. Accommodation with cooking facilities such as a kitchenette could save you money on dining out costs, even if there are cheaper room types available, think of the money you could safe by making meals at your hotel! Holiday Pirates is a package holiday site with a really wide variety of holidays to choose from. What sets this site apart from similar sites is that they have a great selection of featured offers to browse, without having so many that it’s overwhelming. They also have last minute deals sometimes for more impulsive getaways. At the time of writing there’s a 3-star week long break to Majorca for £149pp but you have to travel next week. Lastminute.com collates great last-minute deals from providers offering a (sometimes significantly) reduced price in order to fill their remaining seats and rooms. It’s not great for pre-planning, but if you have very flexible dates and some savings it can be a great way to find a bargain. 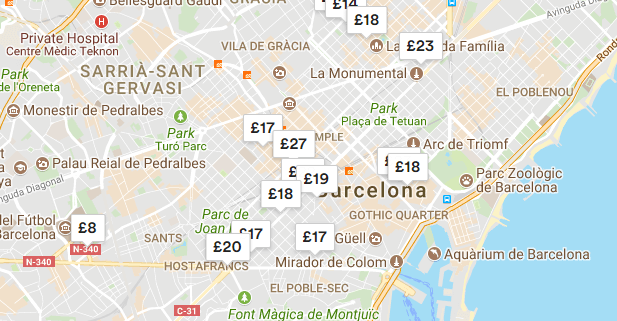 If you need to go away in the school holidays this is probably the best way to get a good deal, as it’s the most popular time of year and so you’re unlikely to find good deals when booking ahead. Secret Escapes specialises in luxury breaks so they’re not the cheapest option for a holiday, but if you’re looking for something a little special – perhaps a honeymoon or the first holiday you’ve been able to have in a long time – then it’s a great way to visit places you wouldn’t be able to afford otherwise. All their hotels are handpicked, and the locations vary from beautiful parts of the UK, to Europe, America and beyond. A cruise is a great way to see multiple destinations and offer a unique experience with pools and endless entertainment at your fingertips. Prices start from about £500pp for a week’s cruise, which may sound expensive, but bare in mind that this includes board, travel (French / Spanish cruises will leave from the UK), food and entertainment so you do not need to spend a penny more for the whole holiday! A package deal for £300 could easily reach £500 per person when a week’s food and activities are added up. Sometimes package holidays offer such a good deal that they are cheaper than just the flights on their own – if you have a specific hotel in mind check whether it’s worth booking a package holiday to that destination and just booking your own hotel on top. Think about whether the extra cost for all inclusive is worth it – are you happy to eat all your meals in the same restaurant? If so – this can be a great money saver, but if you’d rather explore restaurants in the local area, or have specific dietary requirements, then choosing all-inclusive could be a waste of money. Groupon and Wowcher are very similar websites which offer products and experiences at a significant reduction through their sites. They are both UK based, with plenty of family activity, spa, or restaurant deals here in Britain, but also offer getaway deals. They also have foreign versions of the sites which will show you local deals for wherever you’re travelling, but as these will be in the local language, you’ll need a translator on your browser to read the offers. Another great site for UK breaks or staycations – Vouchercode’s speciality is restaurant discount codes (although they over vouchers for other products and activities as well). They cover lots of big chain restaurants across the country and almost always have something for Zizzis, Prezzo, ASK, Pizza Hut, and Domino’s. MoneySavingExpert.com brings together a collection of deals for days out and activities in the UK, from discounted cinema tickets to theme parks and major attractions. This site is another great resource for staycations or UK breaks. It’s also a great resource to find money saving tips to help you save up for your holiday. Once you reach your destination make sure to check the leaflet stacks everywhere you go for good discounts on tourist attractions. You should be able to find deals through local libraries, tourist information centres, and your hotel. It’s also worth asking your hotel staff for advice on which places will allow you to haggle the price down to help you save even more. Even if you’re not planning on doing any dangerous activities whilst away, don’t forget to register for your free European health insurance with the EHIC and to bring your card with you on the trip. Hospital trips for even minor injuries can quickly become expensive so it’s good to know you’re covered for emergencies. The trail wallet app is an iOS only app that helps you track your expenses while you’re away, to keep on top of your budget. You can set yourself daily spending limits, and quickly add in purchases throughout the day. You can set the items to any currency so you don’t need to do any mental maths, and the app will also highlight where most of your money is being eaten up. Trabee is a similar app available on both iOS and Android and is completely free. In addition to allowing you to record your spending in local currency and set daily budgets, you can also add notes and photos to each item, so looking back you can see exactly why you paid 20 euros for that mouth-watering meal. It also allows you to do quick currency conversions to double check how much you’re spending in “real” money. This website is primarily focused on helping people budget for a round the world trip, but it has some really useful advice for regular holiday goers too. One of the most useful features is the ability to search a location and see what the average spend is in that place for other travellers. This can help you plan well in advance of your holiday how much you need to budget for the trip. Keep an eye on our blog in the coming months for more ways to save (and even make) money on holiday, and the best destinations for families on a budget. Got any other great tools for having a great holiday on a budget? Let us know on Facebook!